A galleria of rugs, carpets, kilims and durries – RugWeave enhances the spaces in your home with its woven wonders. With a 31-year legacy behind us, we showcase a motley and archaic collection of rugs from around the world. Many of which are from Persia, Turkey, Central Asia, Kashmir, Gwalior and Jaipur. One of our oldest rugs dates back to 200 years, making it more valuable as time goes by. We offer a diverse variety of products which include modern rugs as well. We have ready-made design options available in-store and customize as per your size and design requirement as well. 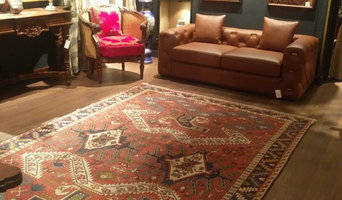 Not only do we focus on sourcing and selling rugs but we also repair and clean existing rugs. We ensure that we use the most natural methods to restore the rugs. We source hand-knotted rugs to keep alive the craftsmanship of handmade rugs. Our understanding is that the art of rug weaving is on the decline and we source our product from small vendors and businesses to help them thrive and keep the art alive. We source hand-tufted rugs based on requirement. Apart from our exclusive store in Eldorado, Nungambakkam High Road, Chennai, RugWeave is also available in other stores across India and we provide worldwide delivery options. Stores we are available in India are Navrathans Antique Art (Bangalore & Hyderabad) and Rock, Paper, Scissors (Cochin) to provide more accessibility to a diverse customer base. We deal with exclusive wood floorings from karelia , moso , havwoods uk . also official partner for poggenpohl kitchen for tamilnadu . Establishing the right flooring for your home is not easy. You need to think about maintenance, durability and how the particular flooring will make the room look and feel. The choices are many from concrete, tile and marble to wood and vinyl. Also, flooring material choices are impacted by the space, carpets and rugs are used in the rooms. Carpet manufacturers and retailers in Chennai can offer everything from a catalogue of carpet colours and pile options to carpet accessories like underlay, gripper rods. Carpet dealers will need to measure your home and they will provide you with an estimate for materials and fitting service. 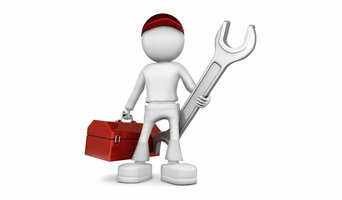 They should also be able to help with any repair or carpet cleaning services. Similarly, a Chennai tiler will be able to help you pick a particular type of stone or tile that suits your style and budget. Don’t forget to ask tiling professional to suggest patterns and designs to enhance the appearance of the flooring. A beautiful hardwood floor can be the perfect way to complete a room of any style or design. The right wooden floor specialist in Chennai will be able to advise you on the options you have that fit your budget. If the wooden flooring cost exceeds your budget don’t worry you can opt for laminate wooden flooring. If chosen carefully and done properly, fitting laminate flooring in your home can look almost as good as the real thing. Remember a professional flooring installer in Chennai is a must to ensure that your new floor fits the space perfectly and remains looking beautiful for years to come. You can also find the perfect carpet or rug retailers and dealers in Chennai to help you add the finished to your flooring.